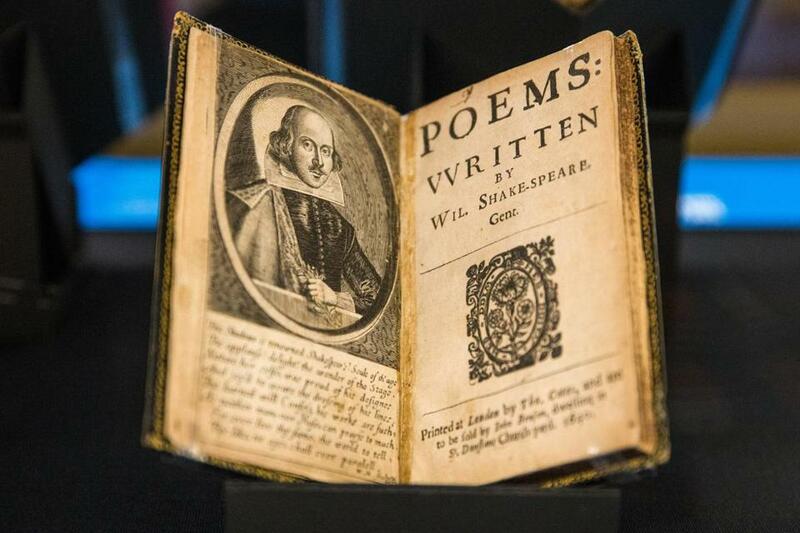 The Boston Public Library’s “Shakespeare Unauthorized” exhibit puts some of The Bard’s rare works on display. 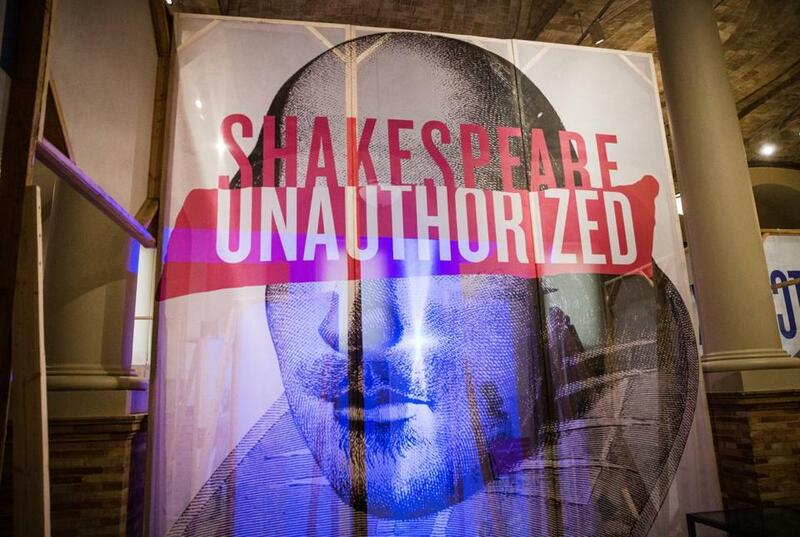 To walk through the Boston Public Library’s “Shakespeare Unauthorized” exhibit is to delve behind the scenes into the Bard’s creative process. In honor of the 400th anniversary of William Shakespeare’s death this year, this elaborately built environment looks like the set of a play. The walls are translucent. The lighting is dramatic. Its public debut was Friday. In development for three years, the exhibit includes some of the earliest and rarest surviving copies of Shakespeare’s greatest works as they would have appeared to someone reading them 420 years ago. Moschella’s focus was to create an exhibit that would appeal to everyone, especially people who haven’t studied Shakespeare, are curious to learn more about his work, and have never read a single play or sonnet. He had much material to choose from. The Boston Public Library has one of the most comprehensive collections of Shakespeare. Its holdings include the first, second, third, and fourth folios of Shakespeare’s collected works, 45 early quarto editions of individual plays, and thousands of volumes of early source material, commentaries, translations, and manuscripts, according to Rosemary Lavery, senior public relations associate with the Boston Public Library. Among these are first editions of “The Merchant of Venice” and “A Midsummer Night’s Dream.” The plays were both published in 1600 as quartos, or small pamphlet-sized booklets. They were often folded or carried in pockets and read to tatters. The library purchased the collection from the widow of bibliophile Thomas Pennant Barton for $34,000 in 1873. The exhibit marks the first time many of the items have been displayed together, Lavery said. “Shakespeare Unauthorized” marks the second time in 100 years that the library has commemorated the anniversary of Shakespeare’s death. In 1916, the library held a 300th anniversary exhibit. The exhibit includes a copy of Shakespeare’s poems from 1640. It runs through March. The exhibit is sponsored by Iron Mountain, the Boston-based storage and information management services company, as part of its “Living Legacy Initiative,” a charitable giving program. “It’s our promise and our charitable commitment to preserve and make accessible cultural and historical information, world artifacts, and treasures,” said Alisha Perdue, the company’s manager of community engagement. The exhibit, which runs through March, addresses “textual problems” and complex questions that haunt scholars, Moschella said. For example, did Othello call himself a base Indian or a base Judean — referring to Judas Iscariot — after being overwhelmed with remorse for killing his beloved Desdemona? Some early versions used “Indian,” while others used “Judean,” Moschella said. Adaptations of tragedies, such as “King Lear,’’ were given happy endings for a time. A publisher once changed male pronouns to female pronouns in some of his love sonnets. The exhibit also addresses some of the major conspiracy theories about Shakespeare’s identity. And then there is one of the greatest unsolved mysteries about Shakespeare. Did he mean to write “To be, or not to be, that is the question?” in “Hamlet”? Or, did the phrase end with “Aye, there’s the point” as was discovered in a first edition found 220 years after it was printed? In that version, the play is half as long and certain characters have different names. How do we interpret that? Why are there two versions? Aye, there’s the rub. We don’t know, Moschella said.